You should expect your lender to make decisions based on making money. Your Lender may use surprising tactics, and you should understand your foreclosure rights. Hiring a foreclosure defense attorney to represent you is the easiest way to protect your rights during foreclosure. You have legal rights, and you should defend them during the foreclosure process. Each state has its own laws, but you always have rights during the foreclosure process. The Department of Justice (DOJ) National Mortgage Settlement gave birth to a new set of consumer protection laws for foreclosure in 2012. Most states have adopted aggressive consumer protection laws governing foreclosures which enshrine the principles in the DOJ Settlement. This is why having a foreclosure defense attorney representing you in these negotiations is crucial. A good foreclosure defense attorney understands your rights, and the options available to you. 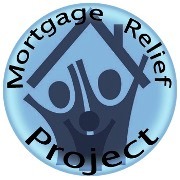 All mortgages give you the right to resolve defaults before foreclosure starts, and even during the foreclosure process. Most loan modification and foreclosure alternative programs available today are designed for this reason. You have the right to stop the foreclosure process, cure the delinquency, and perhaps negotiate more affordable terms. Your lender and your foreclosure attorney can negotiate without you, but you are officially one of the parties concerned. You should save all notices and communications from your lender and all involved parties. That way, you will have documentation necessary to support your claims if the matter turns into a legal dispute. You have the right to modify the existing terms of the loan. However, getting the best possible results can be a difficult and confusing process. An experienced foreclosure attorney is in the best position to get you the best results possible. This is why we consistently advocate foreclosure attorney representation for all matters of mortgage mitigation. Lenders and their lawyers are well aware of your rights. However, their goal is to get what they can out of you, even if it means violating your rights. You should remember that lenders will only help you if it makes financial sense for them to do so. Accordingly, you should expect your lender to attempt to negotiate terms to their advantage. We are talking about protecting your home! HIRE A FORECLOSURE DEFENSE ATTORNEY TO REPRESENT YOU IF YOU ARE A DISTRESSED HOMEOWNER! An experienced foreclosure defense attorney can protect your rights and interests. A reputable foreclosure defense attorney has an interest in resolving your troubled mortgage, and nothing to gain from your losses. FIND A FORECLOSURE DEFENSE ATTORNEY IN YOUR STATE!